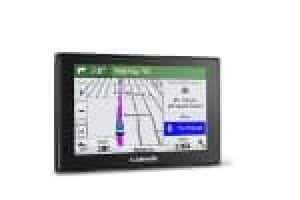 Garmin DriveSmart Review 50/60/70 LMT - Which Sat Nav? 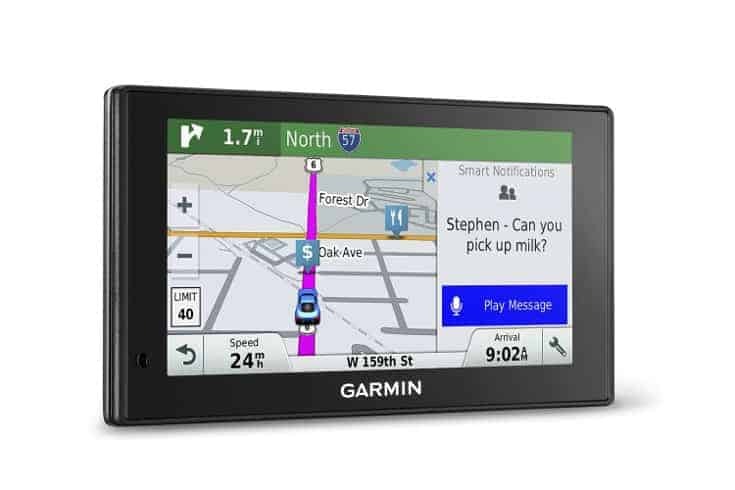 This GPS is part of Garmin’s new product offering that they unveiled at the Consumer Electronics Show in Las Vegas, Nevada in January of this year. This particular device is a step up from their new budget offering, the Garmin Drive. This sat nav comes with some additional features that they hope will encourage you to part with your hard earned cash. Is this sat nav worthy of your attention? 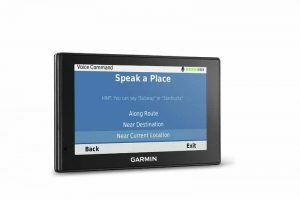 This Garmin DriveSmart Review will delve a little deeper and take a proper look at what this GPS offers us. 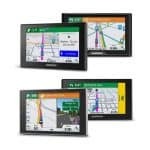 The Garmin DriveSmart is currently available in three different sizes. The DriveSmart 50 has a 5inch screen, the 60 a 6inch screen whist the 70 has a 7inch screen. All of the units are identical except for the size of the screen. There are no additional features between the models. Except for the size of the screen, the devices are all identical. 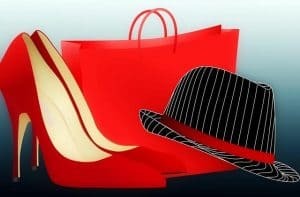 The letters LMT mean that you will get Lifetime Map Updates and Free Lifetime Traffic Avoidance. This means that your maps will always be up to date and you will always get the latest traffic announcements for your journey. The DriveSmart version I have to review has a 6inch screen. The device itself looks and feels slick in the hand. It’s also a little slimmer than previous Garmin devices, but the difference is so minimal that it probably isn’t even worthy of mention. Currently, my advice therefore is to choose the DriveSmart 60. This will provide you with a big enough screen that will suit any size vehicle and most importantly, it provides you with the best value for money. This GPS has some familiar options but also comes with some new and additional features designed to make your journeys easier. 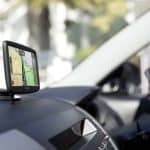 If you have used a Garmin device previously then you may be aware of some of these features – check out our previous review of the Garmin nuvi 2597 for the details of the Active Lane Guidance. One of the more useful navigational features is the Hands Free Navigation. You can input your destination by speaking to the device which will then calculate your route for you. This means that you can keep your hands on the wheel. Particularly useful if you need to change your destination mid-journey. When this feature works as it should it really is great and it does make your journeys much easier. There was however an issue we found with the hands free navigation at times. The first is probably fairly obvious, turn down the volume on the car radio. The GPS didn’t quite understand the instruction “take me now to Paradise City” as sung properly by Guns N’ Roses and terribly by me! More frustratingly however, was having to clarify instructions more than once. At times I must have repeated the instructions three or four times. My wife on the other hand, didn’t seem to have the same issues. Perhaps Garmin prefers her Irish accent? Travelling with this GPS does feel to be a little more collaborative than with some other devices. I speak to the Garmin and the Garmin speaks to me! Ok, I realise that all sat navs speak their instructions to you (as long as the volume is turned on) but this one also speaks the names of the streets to me. For example, instead of being told to “turn left in 300 metres” you’ll be told to “turn left onto Woodland Street in 300 metres”. It may make navigating easier particularly if you know the area your in. This is one of the new features that Garmin have introduced and it’s designed to enhance driver safety. 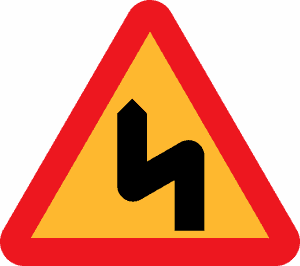 As your driving along you will receive alerts of potential issues up ahead. These could be anything from sharp turns to a railway crossing. My favorite though is a warning if you are approaching a school zone. In my view, this feature should be mandatory on all sat navs in an effort to ensure all drivers take special care around school areas. Some of the other alerts provided include a ‘driver fatigue warning’. The Garmin will tell you that it’s time to take a break from driving, particularly if you haven’t stopped for a while. This may be a little annoying for some people as let’s be honest, we’re all different. Some people will be able to drive a little longer and further than some people without needing as many pit stops. It is useful however, to know where the next suitable place to grab a coffee will be. There may also be something in the name DriveSmart as the device is actually quite smart! When you turn on the device in the morning it will tell you how long your journey to the office will take. It does this by using the data from your previous journeys and also by looking at the current traffic situation. This is great information to have to hand as you jump into the car ready to head off and face another day! It also works the other way around. After you’ve finished your day in the office and before you face the commute home, it’s good to know what time you’ll get there. Once you connect a Bluetooth enabled device to the sat nav you can begin to receive notifications from your phone. Any phone calls or text messages that you receive will pop up on the right hand side of the screen. Again this means that you can concentrate on your driving whilst still receiving notifications. I tend not to use my phone too much and therefore this feature worked well for me. When driving I don’t really care too much about text messages that I may receive. 99% of the time there’s nothing that can’t wait to be read until after I reach my destination. My niece on the other hand receives tons of text messages from her friends. She is what you’d call a social butterfly and would be constantly in touch with her friends. Driving in the car whilst her phone was connected to the device was nothing short of a nightmare! Text messages would come streaming in and take up half of the screen of the sat nav. I really didn’t care what clutch bag matched her friend’s shoes best! Aaaaaarrrggghhhhh! To be fair, my frustration had nothing to do with the device itself. It worked just as it said it would. Text messages appear on the screen of the device as they come in. Also worthy of note is that you cannot reply to the text message in the same manner. You will have to type a reply on the phone yourself. In my view, this somewhat negates the benefit of having the text messages displayed own the screen. If you cannot reply to the messages then why bother having the feature? Having this feature isn’t too much of a big deal for me as I have a built in handsfree kit. It is however an important feature for lots of people and a major consideration for them when making a purchasing decision. The quality of the speaker is good. The voices on the other end of the line are clear and easy to understand. There were no reported issues on the quality of the call from the person on the other end of the line either. And really, in my opinion there isn’t too much else that you’d want from this function. How Do I Manage & Update Maps? Garmin Express is the platform that you’ll need to ensure that your device is fully up to date. In order to get started just head over to Garmin’s website and download their software – choose either the Mac or the Windows version. Once you have downloaded Garmin Express and connected your device to the computer via the USB cable you’ll be able to register and manage your device. The good thing is that you’ll be able to see what map updates are available and ensure that your bang up to date. This GPS offers a lot of features for your money. More importantly however, it performs well at a basic level. it gets you to where you want to go without fuss. We would question however, the necessity of some of the features that are included - do they really add anything? Glad I came across this site. I am looking for a sat nav as am hopeless with directions! Like that you have listed the pros and cons. The Garmin DriveSmart sounds like a fantastic sat nav and like that it has voice commands. Need to upgrade my nuvi 1490. This was a great help. Trying to decide which model was a simple as size. Love the features explained! We have a 70 in Australia and it is hopeless, try’s to take you down railways, tells you to turn left or right when there is no roads, continues to take you on a trip even after you have deleted the trip from your saved trips. This is just the beginning will be buying something else very soon.